Various Artists : Ultimate Pop Princess CD (2011)Title: Ultimate Pop Princess Artist: Various Artists Genre: Rock/Pop|Compilation Duration: 143.04 mins Format: CD / Album Type: CD No. of Discs: 2 disc(s) Studio / Label: Universal Music TV UK Release Date: 15 Aug 2011. Artist Various Title Shine 5 Release Date 1996-07-15 Label: EMI Records Number of Discs 2. Squeeze - Slap & Tickle. CLASSIC DRIVING SONGS. Ocean Colour Scene - The Riverboat Song. Hard-Fi - Hard To Beat. 3-CD ALBUM SET. Iggy Pop - Lust For Life. Foreigner - Hot Blooded. Hawkwind - Silver Machine. 5 [New CD]. Artist: Various Artists. Format: CD. Three Coins in a Fountain - Four Aces. Young at Heart - Sinatra, Frank. This is pop music flying high, gleefully unaware that rock 'n' roll is looming. Artist Various Title Shine 8 Release Date 1997-04-18 Label: EMI Records Number of Discs 2. Various Artists : 101 80s Hits CD (2007)Title: 101 80s Hits Artist: Various Artists Genre: Rock/Pop|Compilation Duration: 375 mins Format: CD / Album Type: CD No. Disc 5 20 I Should Be So Lucky 3.24 mins. Various Artists : Your Songs 2017 CD (2016)Title: Your Songs 2017 Artist: Various Artists Genre: Rock/Pop|Compilation Format: CD / Album Type: CD No. of Discs: 2 disc(s) Studio / Label: Universal Music TV UK Release Date: 02 Dec 2016. Various Artists : Acoustic 3 CD (2003)Title: Acoustic 3 Artist: Various Artists Genre: Rock/Pop|Compilation Duration: 154 mins Format: CD / Album Type: CD No. of Discs: 2 disc(s) Studio / Label: V2 UK Release Date: 31 Mar 2003. Various Artists - Vol. Title: Vol. Artist: Various Artists. Genre: Rock. Format: CD. I Turn to You. Item Condition: New and unplayed. Groovejet (If This Ain't Love). Various Artists : 100 Hits: 70s Pop CD (2009)Title: 100 Hits: 70s Pop Artist: Various Artists Genre: Rock/Pop|Compilation Format: CD / Box Set Type: CD No. of Discs: 5 disc(s) Studio / Label: 100 Hits UK Release Date: 02 Feb 2009. 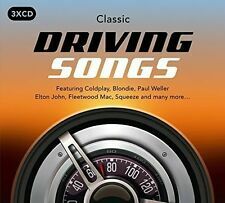 Various Artists : Driving Songs CD (2012)Title: Driving Songs Artist: Various Artists Genre: Rock/Pop|Compilation Format: CD / Album Type: CD No. of Discs: 2 disc(s) Studio / Label: World's Biggest UK Release Date: 20 Feb 2012. Zoom > Ultimate. Acoustic - Various Artists (Album) [CD]. Shut Up and Dance (Acoustic) - Walk the Moon. Underneath Your Clothes (Acoustic) - Shakira. Over My Head (Cable Car) [acoustic] - The Fray. Picking Up the Pieces (Acoustic) - Paloma Faith. Various Artists : Original New Wave CD (2014)Title: Original New Wave Artist: Various Artists Genre: Rock/Pop|Compilation Format: CD / Album Type: CD No. of Discs: 2 disc(s) Studio / Label: Warner Music UK Release Date: 02 Jun 2014. Various Artists : Indie Anthems CD (2015)Title: Indie Anthems Artist: Various Artists Genre: Rock/Pop|Indie/Alternative Format: CD / Album Type: CD No. Disc 3 20 Pacific 202. Disc 3 19 Where the Wild Roses Grow. Artist Various Title Shine 7 Release Date 1996-11-11 Label: EMI Records Number of Discs 2. MARTY WILDS – RUBBER BALL. JIM LOWE – THE GREEN DOOR. BILLY FURY – HALFWAY TO PARADISE. CHUCK BERRY – ROLL OVER BEETHOVEN. FREDDIE BELL & THE BELLBOYS – GIDDY UP A DING DONG. DANNY AND THE JUNIORS – AT THE HOP. Various Artists : 101 80s Hits CD (2017)Title: 101 80s Hits Artist: Various Artists Genre: Rock/Pop|Compilation Format: CD / Box Set Type: CD No. of Discs: 5 disc(s) Studio / Label: UMC UK Release Date: 26 May 2017. Various Artists : 12' 80s Love CD (2008)Title: 12' 80s Love Artist: Various Artists Genre: Rock/Pop|Compilation Duration: 201 mins Format: CD / Album Type: CD No. of Discs: 3 disc(s) Studio / Label: Universal Music TV UK Release Date: 28 Jan 2008. Various Artists : Housework Songs CD (2005)Title: Housework Songs Artist: Various Artists Genre: Rock/Pop|Compilation Duration: 156 mins Format: CD / Album Type: CD No. Disc 1 22 Silly Love Songs 5.56 mins. Release Year 1991. Style Christmas. Genre Rock. Release Year 2001. Style New Wave. KERRANG LEGENDS. Aces High - Iron Maiden. Tribute - Tenacious D. Get Your Hands Off My Woman - The Darkness. Juggernauts - Enter Shikari. Killing Loneliness - HIM. Bother - Stone Sour. The Taste Of Ink - The Used. Title: Britain's Greatest Hits 1957 / Various. Artist: Various Artists. 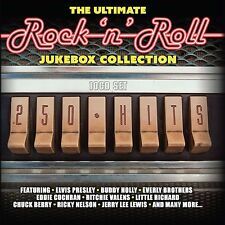 This great value 2-CD set features 40 original artist recordings which were Top Ten Hits during 1957, including eight No. 1s. Format: CD. ORIGINAL CD IN EXCELLENT CONDITION. 2122 / 1760G. Various Artists : Your Songs CD (2011)Title: Your Songs Artist: Various Artists Genre: Rock/Pop|Compilation Duration: 149.29 mins Format: CD / Album Type: CD No. of Discs: 2 disc(s) Studio / Label: Universal Music TV UK Release Date: 28 Feb 2011. Zoom > Ultimate. Drive - Various Artists (Album) [CD]. Two Princes - Spin Doctors. Race With the Devil - The Gun. Dust in the Wind - Kansas. Freeway Jam - Jeff Beck. Drive By - Train. Walk On the Wild Side - Lou Reed. Various Artists : Happy Songs CD (2005)Title: Happy Songs Artist: Various Artists Genre: Rock/Pop|Compilation Duration: 151 mins Format: CD / Album Type: CD No. Disc 1 19 Happy Together 2.53 mins. Disc 2 2 Don't Worry Be Happy 3.55 mins. Various Artists : Ultimate Party CD (2009)Title: Ultimate Party Artist: Various Artists Genre: Rock/Pop|Compilation Duration: 217.5 mins Format: CD / Album Type: CD No. of Discs: 3 disc(s) Studio / Label: Sony TV UK Release Date: 05 Oct 2009. Various Artists : New Wave Heroes CD (2006)Title: New Wave Heroes Artist: Various Artists Genre: Rock/Pop|Punk/New Wave Duration: 135 mins Format: CD / Album Type: CD No. Disc 1 16 Another Girl Another Planet 3.03 mins. Artist: Various Artists. Title: 2011 Best of. Format: CD. Release Date: 2011. Various Artists : Rock Anthems CD (2010)Title: Rock Anthems Artist: Various Artists Genre: Rock/Pop|Compilation Format: CD / Album Type: CD No. of Discs: 3 disc(s) Studio / Label: Universal Music TV UK Release Date: 15 Nov 2010. SMOOTH 70s. The Hollies - The Air That I Breathe. Allen Toussaint - On Your Way Down. 3-CD ALBUM SET. Frankie Valli & The Four Seasons - Who Loves You. The Persuaders - Thin Line Between Love And Hate. Various Artists - Re-Machined - A Tribute To Deep Purple's Machine Head. Title:Various Artists - Re-Machined - A Tribute To Deep Purple's Machine Head. Artist:Various Artists. We all like the idea of saving a bit of cash, so when we found out how many good quality used products are out there - we just had to let you know! 101 POWER BALLADS. 101 CLASSIC POWER BALLADS. The Traveller -Spear Of Destiny. Blurry - Puddle Of Mudd. Wind Of Change - Scorpions. So In Love With You - Spear Of Destiny. It's A Beautiful Thing - Ocean Colour Scene. Various Artists : Total Nineties CD (2010)Title: Total Nineties Artist: Various Artists Genre: Rock/Pop|Compilation Format: CD / Album Type: CD No. of Discs: 5 disc(s) Studio / Label: Universal Music TV UK Release Date: 07 Jun 2010. 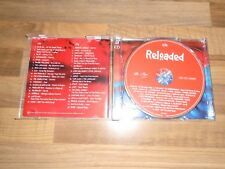 Artwork - CD case marks on right side of front sleeve. Various (NEW 3CD). Format: 3CD. 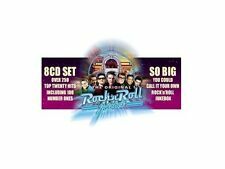 MORE THAN A FEELING - ROCK ANTHEMS VARIOUS ARTISTS - TWO CD - FREE UK POSTAGE!! !